Like in any engineering-based endeavour, the high-end sector of the audio industry is where ambitious designers and engineers can express aspirational visions by feeling relatively freed from the shackles of budgetary constraints. They can brush aside cookie-cutter design and bring to fruition products with unique or unusual aspects and interesting points of difference in terms of industrial aesthetic, artistic circuit design and excellence in construction. To varying degrees, all of the above apply to Kyron Audio's Kronos speaker system. 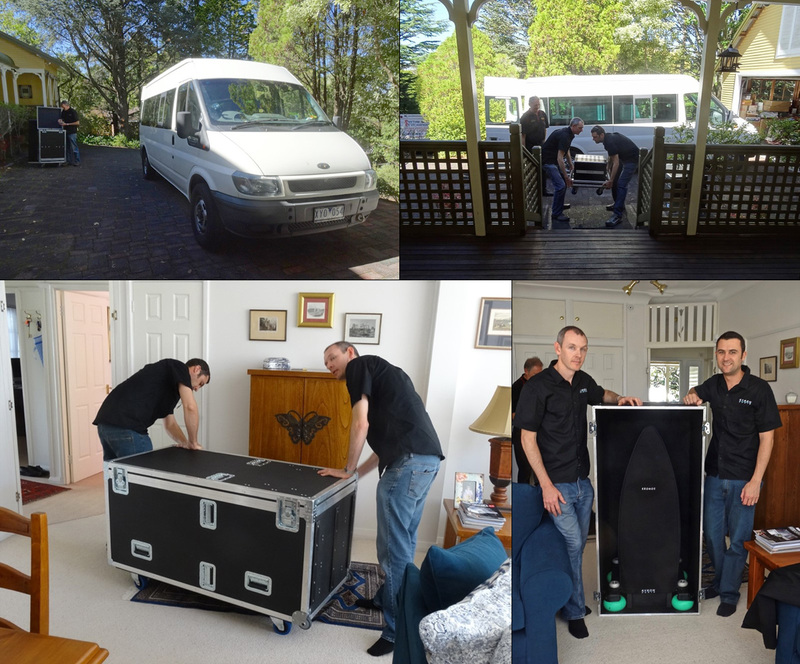 Like some of their Australian compatriots Continuum, Duntech, SGR Audio, DEQX and the once all-conquering Halcro now being resuscitated and revitalised, the team at Kyron Audio is digging the blade deep into the heart of state-of-the-art audio. It's a system not a speaker. The Kronos speaker system features a wealth of advanced analogue and digital technologies, is conceptually distinct and peerlessly engineered. It's the entry point into the company's product line and continues to encapsulate Kyron Audio's ethos of providing all-in-one solutions which bundle a DAC, preamplifier, amplification, DSP, cabling and speakers all trickled down from their award-winning and totally unique Gaia flagship. 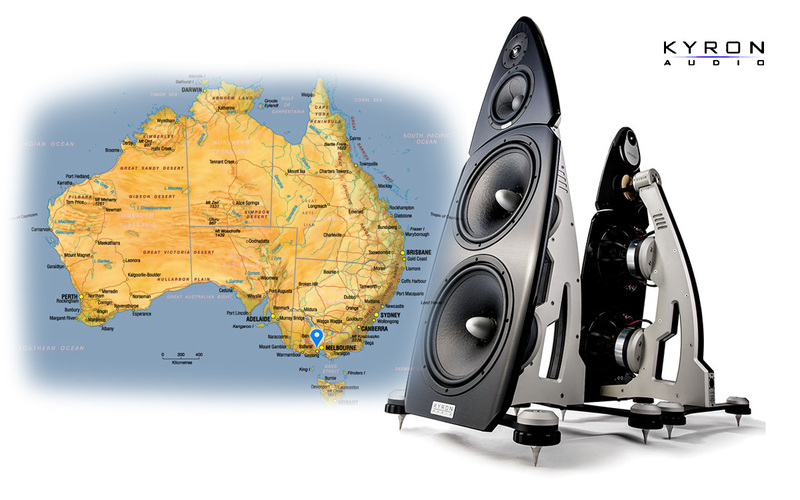 A stunning visual statement, the Kronos is a 3-way design engineered with Kyron's philosophy of dipolar response driven actively for perfect matching of amplifier and drivers plus in-built room tuning with equalization via the DSP prowess of highly-regarded Australian specialist DEQX. The lower right photo shows how short the speaker actually is. To that end, the Kronos package includes the two speakers and a rather large electronics control unit about the size of a large class A amplifier—and with an equal amount of heat sinking— plus all Kyron-made cabling of large gauge and high build standard. The control unit is the brain of the Kronos system and includes six dedicated channels of class D nCore amplification from Hypex Electronics, providing approximately 2500 watts of total system power. The nCore variation of Hypex is considered by many audio enthusiasts to be the current cream of the class D crop. A DEQX processor massages the signal, acts as preamplification stage and digital-to-analogue converter, provides 3-way DSP transducer correction, linear-phase crossover division, time alignment and 10-band room correction. The Kronos specification in terms of frequency response is 32Hz to 40kHz. Power rating is a healthy 1'200 watts per channel via three nCore stereo amplifiers. This massive power on tap is needed to drive the twin 12-inchers especially in a dipole configuration. A heavy machined control unit stand featuring the same massive spiking as the speakers is available as a $3'400 option. See it and you'll want it.